Simon & Schuster, 9781476709314, 304pp. A haunting literary drama, with a ripped-from-the headlines urgency reminiscent of Defending Jacob and Sue Miller’s While I Was Gone, Golden State asks hard questions about the limits of loyalty and the bounds of family ties. Growing up in the 1960s in one of California’s most prominent political families, Natalie Askedahl worshipped her big brother, Bobby, a sensitive math prodigy who served as her protector and confidante. But after Bobby left home at sixteen on a Princeton scholarship, something changed between them. Now that Natalie is happily married, with a career and two young daughters, her only real regret is losing Bobby. Then, a bomb explodes in the middle of her seemingly ideal life. Her oldest daughter is on the Stanford campus when one person is killed and another maimed. Other bombings follow across California. Frightened for her family, Natalie grows obsessed with the case until she makes an unthinkable discovery: the bomber’s manifesto reads alarmingly like the last letter she has from Bobby. Unsure of whom to sacrifice and whom to protect, Natalie is confronted with a terrible choice that will send her down a rabbit hole of confusion, lies, and betrayals. As her life splits irrevocably into before and after, she begins to learn that some of the most dangerous things in the world are the stories we tell ourselves. Stephanie Kegan is a freelance writer who has been published in Self, Los Angeles Magazine, and the Los Angeles Times. A native of Southern California, she earned her BA in history from UC Berkeley and attended Journalism School at the University of Southern California. She lives in Los Angeles with her family. Golden State is her first novel. “Kegan’s masterful, stirring portrait of familial loveraises moral questions that’ll have you twisting in your seat, asking yourself,'What would I do?'" 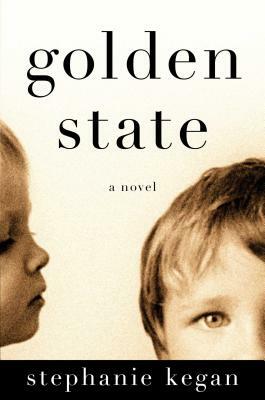 “Stephanie Kegan’s Golden State signals the arrival of an exciting new voice in contemporary American fiction. Here is a California novel like no other, where an influential family’s turbulent legacy, and one woman’s decision, ultimately shapes the destiny of an entire state. In a landscape that is at once as serene and Edenic as it is volatile and combustible, Kegan’s writing is deft, finely calibrated, and emotionally resonant. With a cast of characters that feel so familiar they could be our own kin, nothing is spared here as we witness the lengths Natalie Askedahl—wife, mother, sister—will go to in order to protect the ones she loves most."